How common is light bleed on Cintiqs? I bought a new 27qhd which seemed to have no light bleed when I first got it but now after a 1 week there is very noticeable yellowish bleed in the corner on. Is there any fix for this? Definitely disappointed after having dropped $3000 on this thing. Srsly, does anyone else have this? Is it just me? Here is a photo of what I mean. 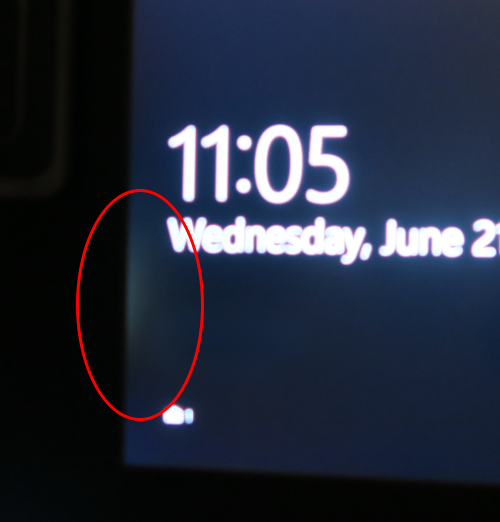 I cannot believe on a nearly 3000 dollar monitor the quality control is this low. Emailed Wacom support back on June 14th. Still nothing....What an amazing warranty!